Creationists get a lot of flak for just about everything we do. That comes with the territory. One such thing I've gotten flak about is not enabling comments on my blog. Supposedly, I'm scared of criticism or some such rubbish. Likewise just about every other creationist site out there. We're all apparently shaking in our boots that someone might call us a naughty name or ask a question we can't answer. I still strongly disapprove of publication via press release, but this interview with Brian Sykes is quite interesting. Given the generally non-sensational tone of the article, I'm cautiously optimistic about Sykes's paper. I'll be interested to see it when it comes out. The tiny village of Dmanisi in the former Soviet republic of Georgia has been the site of some amazing fossil discoveries in the past decade or so. The fossils are conventionally dated to about 1.8 million years ago. Some have placed them in a separate species (Homo georgicus), while others contend that they're part of the Homo erectus complex. This week's Science reports on another skull from the same locality. What makes them interesting, though, is not the labels pasted on them, but the wide variation all from the same locality. Some of the skulls, like Skull 4, resemble Neandertals or even modern Homo sapiens, while Skulls 2 & 3 were more like the classic Homo erectus. Skull 5, though, is quite different, more like the so-called "early Homo" like H. habilis. Skull 5 has a projecting muzzle and a much lower forehead than the other Dmanisi skulls. 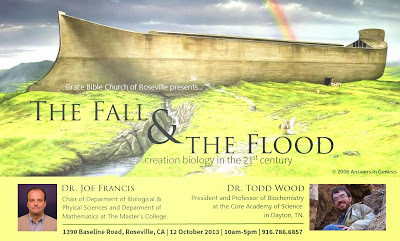 Joe Francis and I are doing a seminar in California on Saturday. Check it out if you're in the area. I'm still here and talking about academic publishing! I can hardly believe it's been so long since I checked in on my blog, but things have been crazy, and time flies. Anyway, I was motivated to comment by a paper published in Science last week. They've marked it as a "News" article, but frankly, it reads more like a research report. And it's ingenious!